From the time I was prescribed topical products for my skin, I've been applying the same system that has evolved through the years. The drill starts with washing my face, followed by toner, serum, moisturizer then sunblock prior to BB cream or foundation. With the growth of our beauty industry in the past years, my skin care technique has adapted to several changes. 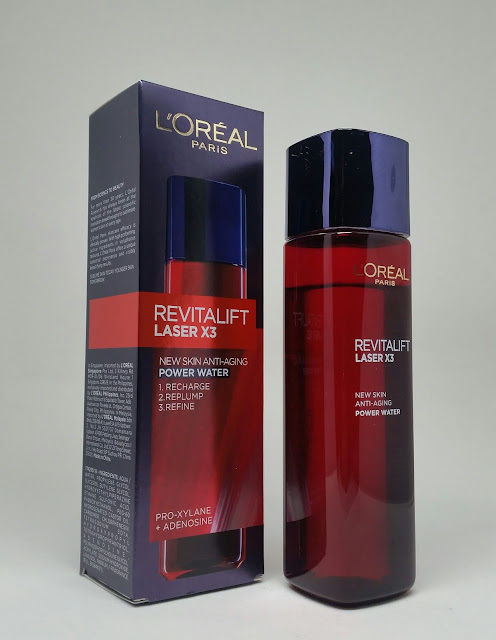 One of which is incorporating products that target aging and my current favorite is the L'oreal Revitalift Laser X3 Power Water. This product comes in a red, translucent plastic bottle with a screw-on cap. 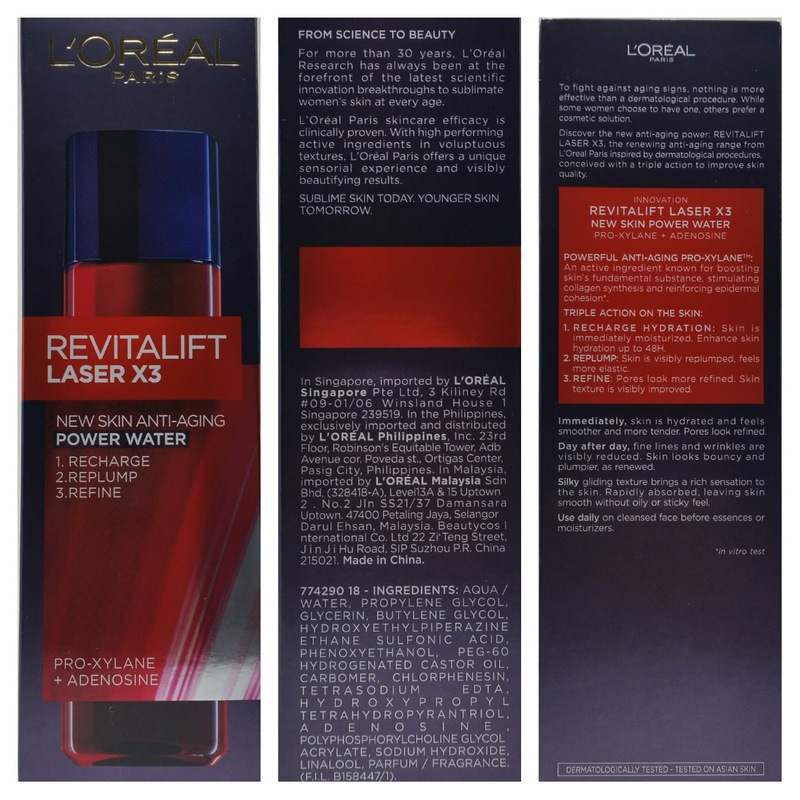 It claims to recharge, replump and refine your skin. 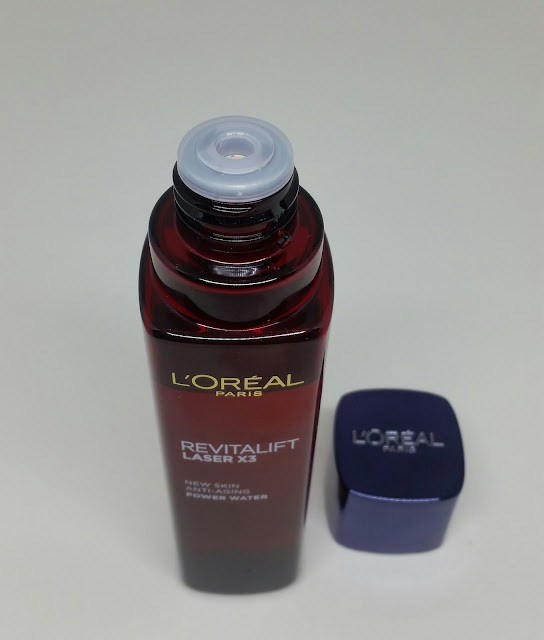 The bottle features a spout that effectively regulates the amount dispensed. It looks and feels like water except for the hint of floral scent and the slightly thicker consistency which reminds me so much of a thin syrup. Application is a breeze because you can directly apply it on your face and neck using your fingers without a separate applicator or cotton. A small amount is enough to cover your face and neck so this 175 ml bottle will definitely last long. It's non sticky, gets absorbed fairly quick and it leaves your skin hydrated and refreshed. It doesn't clog your pores or cause break outs. After 2 weeks of twice daily use, the L'oreal Revitalift Laser X3 Power Water has slowly improved my skin's moisture. I started noticing less dryness on my cheeks and around my nose. Although I haven't seen any visible changes with the fine lines on the outer corners of my eyes, I'm still hopeful for improvements in the coming weeks. 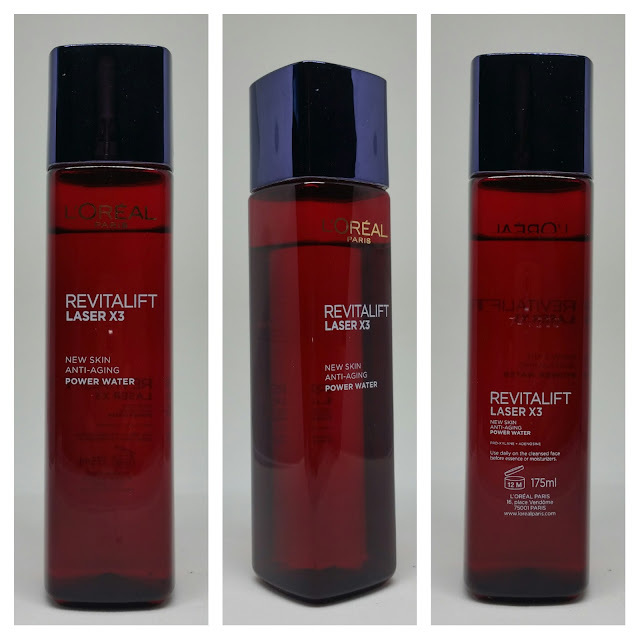 For now, I'm enjoying how this miracle water in a bottle refreshes my skin every after use. 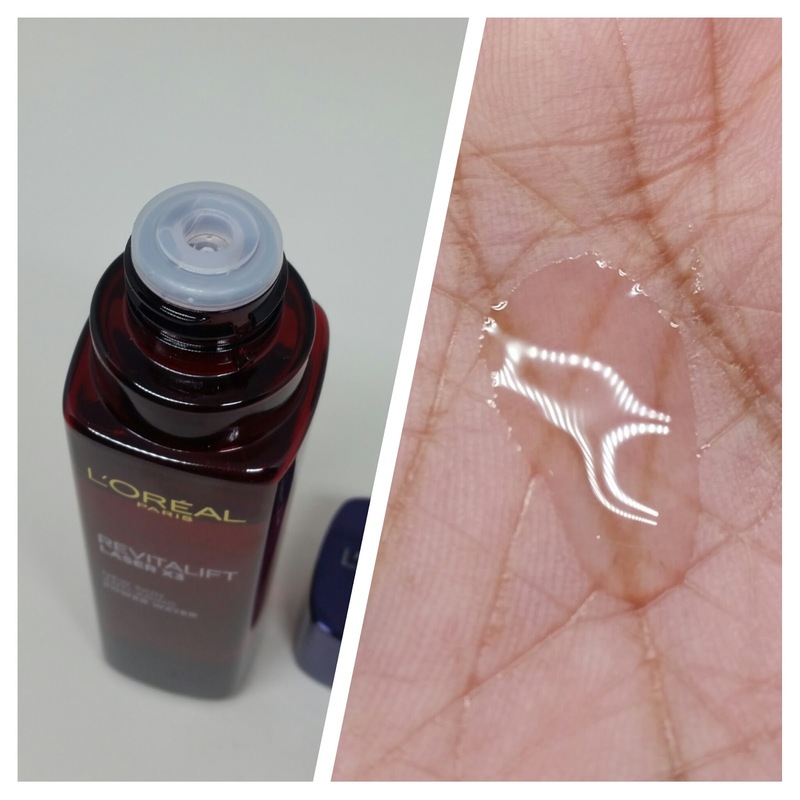 Overall, I'm loving this product that I'm consuming the entire thing to the last drop. It stays true to its claims of replumping and recharging your skin but I may have to wait for the refining part. It's a nice product to try if you want to start incorporating anti-aging products to your skin care routine. One more good thing about it is the reasonable price of only Php 499 although I got a bit more lucky since I bought this for a great deal at 30% off! That's just about everything. Thank you for visiting my site and reading this post! Have a beautiful and love-filled February.